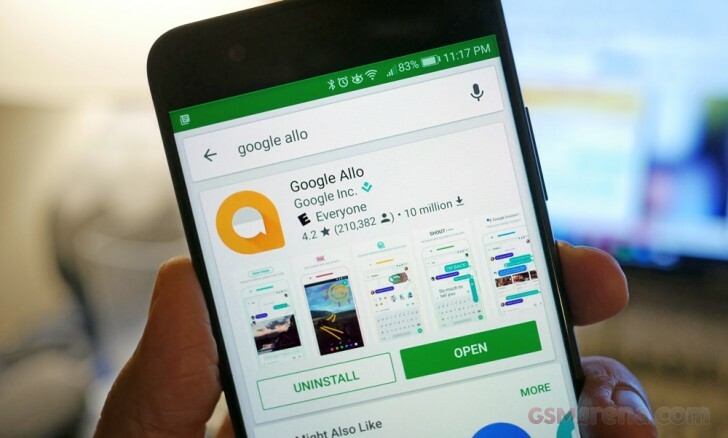 Google has been updating Allo with a bunch of new features lately, and with the latest 9.0 update to Google Allo we’ll be seeing one feature that should have been implemented since the the app's launch: chat backup and restore. In 9to5Google’s latest APK teardown, the team has found traces of software that set the app up for the eventual implementation of chat backups to either Google Drive or local storage (to a smartphone or external storage). Proof of this can be found in the code which reads: “Looks like your chats have recently been backed up. To prevent losing previous chats, restore them now.” The teardown post suggests images, video, and other content like stickers and emoji should be included in these backups. A number of other strings of text have been found that solidify the whole idea of chat backups: “Preparing Google Drive backup.” “Retrying Google Drive upload.” “Backing up to Google Drive – %s of %s uploaded.” Just to mention a few. Along with chat backups, a couple of other features coming to Allo include: Quick Selfie: a live camera view right from the app that takes a quick photo, presumably with some kind of tap-and-hold action, and group incognito chats: self-explanatory. Nobody but Google knows when these features will actually go live, it may not be with the next app update, and it might even just be a matter of a server-side switch that Google needs to flip to launch the feature. If you want to delve into the more detailed strings of text and code found in the APK, check out the full teardown at the 'Source' link below. Are any of you using Allo? Tell us what you really want to see in a future Allo update.